Last year, at April 5, 2012, I made a commitment to read 100 classics for 5 years. I’ve made my list here, but as time goes by, I found so many interesting classics out of my list that were on my reach. Today, as exactly one year past, I’ve ‘only’ finished 13 books on my list. However, I’ve had 22 extra books. Including some modern classics, but not post-modern classics although I read several of them (I still have different idea about what is classics on some modern pieces). 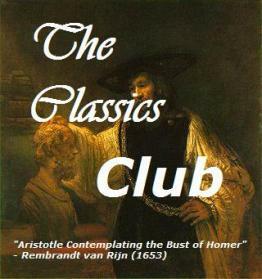 All reviews of The Classics Club list I write in Bahasa Indonesia and English, but many other reviews I write only in Bahasa Indonesia. If you don’t read the language but want to understand, feel free to use Google Translate.